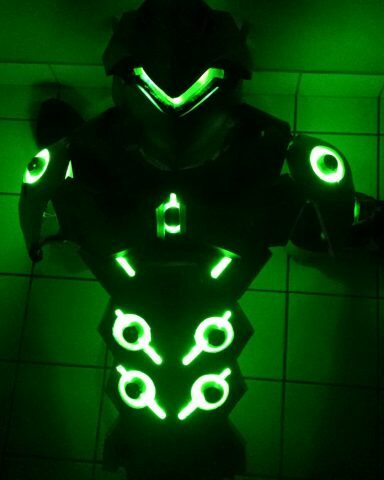 Glowing Overwatch Genji Cosplay « Adafruit Industries – Makers, hackers, artists, designers and engineers! Overwatch hero Genji has cybernetic abilities that he uses to aid him while he’s on the offense. With the game out in the world, there are more and more Overwatch costumes popping up, and Fredrik, a.k.a. 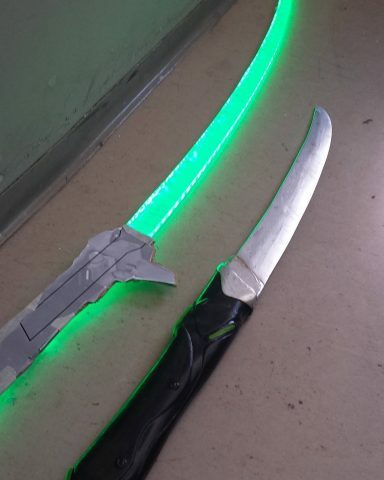 cosplay_just on Instagram, is working on a replica of Genji. believe it or not, the top photo might look polished but it’s still a work in progress. The armored suit glows with green LEDs and so does the sword. According to his profile, Fredrik has only been working within the cosplay hobby since March 2016. 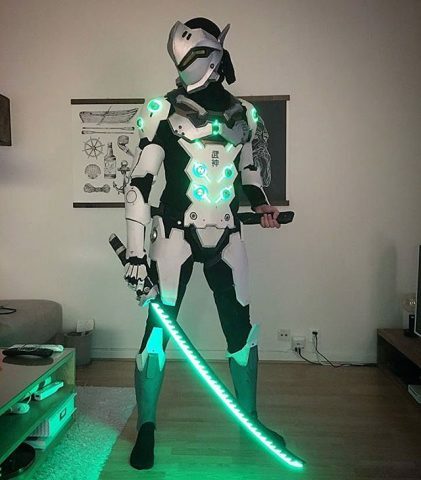 The Genji costume appears to be his first prject, and he’s come a long way since he posted the first making of image almost eight weeks ago. You can trace the progress made by scrolling through Fredik’s Instagram account. 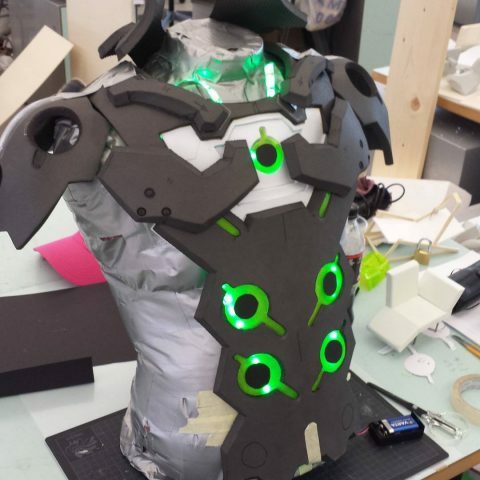 You’ll see much of Genji’s armor was crafted from EVA foam — check out a few in progress pics below.